Since then the Phoenix Players have become well-established in the area. 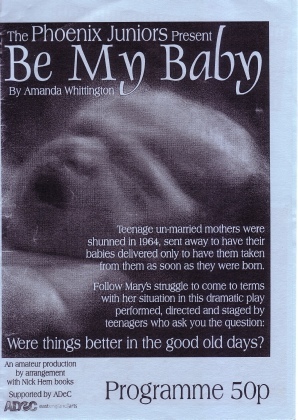 We have a thriving junior section, who have put on several shows including the lovely “Be my baby” - an emotional drama about a 1960’s home for unmarried mothers. They also took part in our spectacular 2006 Christmas production of “A Christmas Card”. 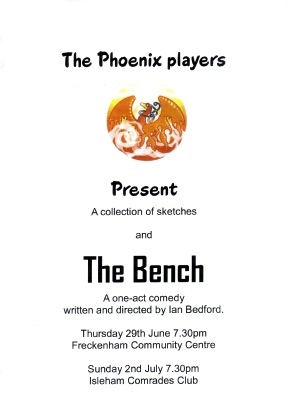 Meanwhile the adult group have put on two reviews and several comedies - including Ian Bedford’s hilarious “The Bench”. We are always keen to enrol new members! 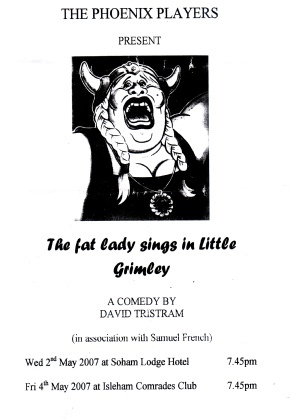 If you are interested in acting, directing, helping with set building, making costumes - whatever your interest in drama - you will find that we are a relaxed, friendly group who are keen to welcome you. The Phoenix Players performing to Chippenham WI Year?? ?